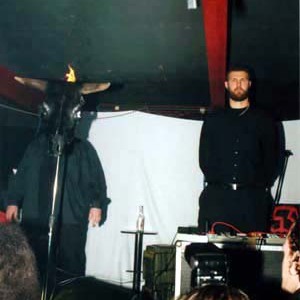 Maschinenzimmer 412 (currently known as MZ.412) are the inventors of so-called "black industrial", a dark and haunting music which mixes industrial noise, ritual ambient and black metal atmospheres. The mastermind behind the project is Henrik Nordvargr Bj?rkk (often credited as Kremator), aided by different people with each release. Original releases from 1989-1990 came under the name Maschinenzimmer 412, previous to Bj?rkk founding the Swedish EBM band Poupp&eacute;e Fabrikk. The project came back in 1995 with the shortened moniker MZ. 12 and the typical black metal look (painted faces, long hair, black leather), which was later abandoned.